As you might have noticed, I haven't contributed anything for more than a month, due to time constraints resulting from more important engagements. Now I hope to be able to regularly contribute again, maybe not with the previous frequency, but still. As a solo blogger, it is considerably demanding to provide a constant flow of hopefully recognised postings, not knowing for how long I can keep it up this time. For that reason I am currently re-thinking my blogging concept in terms of coverage and would highly appreciate suggestions for collaborately running a blog in the present or another form. But now let's turn to the 2011 ITechLaw Conference, which this week has been held in San Francisco and attended by 240 attendees from 40 countries. 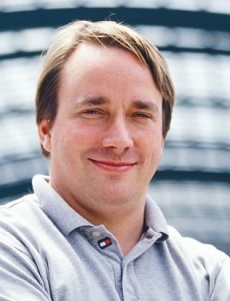 In the opening session, Linus Torvalds was awarded with the first Inaugural ITechLaw Achievement Award for his significant and demonstrable achievement in technology which, as we all know, relates to creation of the Linux kernel in 1991 and the huge implications this and the open source idea had on the IT world in the following years. On Torvalds' behalf, the award was handed over to Jim Zemlin, executive director of the Linux Foundation, who then delivered the keynote address by pointing to the 20th anniversary of the Linux kernel and admitting that developers always wanted to be lawyers ("I am not a lawyer, but ..."). 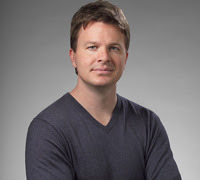 In his address, Mr Zemlin basically recapitulated the Linux history as presented in a video on the Linux Foundation's website, enriched by some more facts and opinions. While the story started as a private programming project of Mr. Torvalds, Linux now is such a big player in the relevant markets that legal issues are nowadays very important. According to Mr Zemlin, Linux today not only dominates the supercomputer market, embedded systems (28% as compared to 17% of MS Windows), mobile devices (by e.g. Android or Chrome, LiMo) and high performance computing, but is also operated in high-reliability areas such as air traffic control, nuclear submarine control or at the European Organisation for Nuclear Control (CERN). The commercial success of Linux was illustrated by the fact that the stock price of Linux distributor RedHat outperformed that of Microsoft. It was predicted that Linux will also play a dominant role when bridging the gap between real the and virtual world by the so called Internet of Things. As his look into the future, Mr Zemlin expects that the price pressure on innovation will rise so that hardware will be free in the end, mainly due to virtualisation concepts in the cloud. This will necessarily shift innovation towards software, thus promoting service-based businesses and forcing the IT industry to more and more shift in that direction. All this will, according to Zemlin, play into the hands of open source and particularly Linux, since free availability and openness will become the key features to outperform closed and proprietary approaches as e.g. adopted by Microsoft's Windows. We will see if that prognosis is appropriate. At least the tremendous success of the utterly closed company Apple and the immense demand for their highly propretary products may be a sign that Zemlin's vision will not come true in the nearest future and may at least require some twists and shift before it will be fully established.